The Halls of Stormweather, a novel in seven parts, is the first book in a series that explores the mean streets of a city where everything has its price and even the wealthiest families will do anything to survive! Dave’s Contribution is “Thirty Days,” a tale of the second son, Talbot Uskevren. Talbot Uskevren, the second son of one of Selgaunt’s most powerful families, fights a deadly battle within himself. Like most men of his station, Talbot spends his days honing his sword fighting skills, and unlike others, practicing the art of acting. Now, Talbot will put both of these talents to the test when a rival House comes looking for blood. 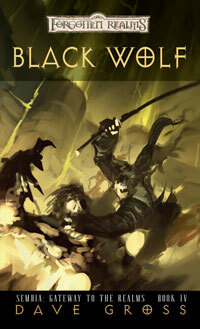 The only way for Talbot to survive against the Black Brotherhood is to let the inner wolf loose, and the only way for him to live in Selgaunt’s society is to keep the wolf chained. The exciting finale to the Sembia: Gateway to the Realms series! 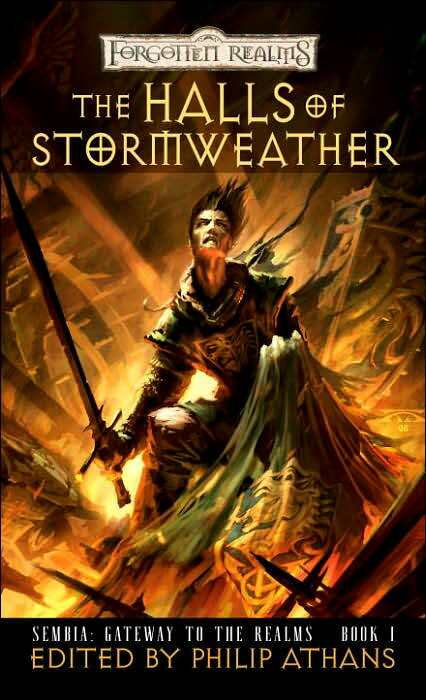 Thamalon Uskevren II, the heir to Stormweather Towers, never expected to inherit so much so quickly. 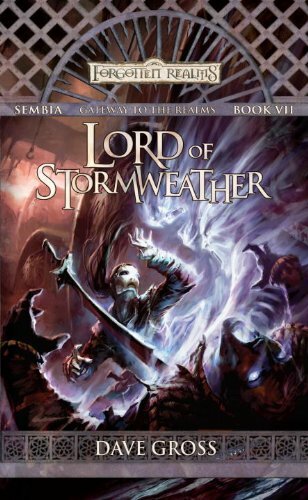 When his parents and Erevis Cale vanish without a trace, Tamlin must rally what’s left of his family and try to solve a mystery whose roots lie deep beneath Stormweather, before a deadly assassin ends the Uskevren line forever.